Rationale: Nicotine, a tobacco alkaloid, is known to be important in the acquisition and maintenance of tobacco smoking. Nornicotine, an active nicotine metabolite, stimulates nicotinic receptors and may produce psychomotor effects similar to nicotine. Objective: The present study determined the effects of acute and repeated administration of nornicotine on locomotor activity and compared its effects with those of nicotine. Methods: R(+)-Nornicotine (0.3–10 mg/kg), S(–)-nornicotine (0.3–10 mg/kg), S(–)-nicotine (0.1–1 mg/kg) or saline was administered s.c. to rats acutely or repeatedly (eight injections at 48-h intervals). Activity was recorded for 50 min immediately after each injection. Results: S(–)-Nicotine produced transient hypoactivity, followed by dose-related hyperactivity. Repeated S(–)-nicotine administration resulted in tolerance to the hypoactivity and sensitization to the hyperactivity. Subsequent testing following a saline injection revealed evidence of conditioned hyperactivity. Acute administration of 0.3 mg/kg or 1 mg/kg R(+)- or S(–)-nornicotine produced no effect. Transient hypoactivity was observed at 3 mg/kg and 10 mg/kg R(+)-nornicotine and at 10 mg/kg S(–)-nornicotine. 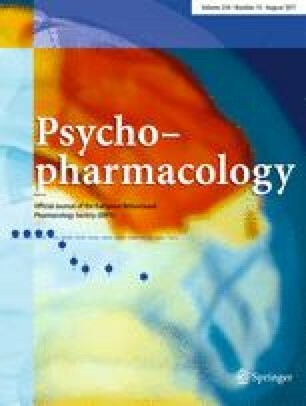 However, rebound hyperactivity was not observed following acute administration of either nornicotine enantiomer, suggesting that nornicotine-induced psychomotor effects differ qualitatively from those of S(–)-nicotine. Repeated R(+)-nornicotine resulted in tolerance to the transient hypoactivity, however hyperactivity was not observed. Repeated S(–)-nornicotine resulted in tolerance to the hypoactivity and the appearance of hyperactivity. Repeated administration of either nornicotine enantiomer resulted in a dose-dependent alteration in response to a 1 mg/kg S(–)-nicotine challenge, suggesting some commonalities in the mechanism of action. Conclusion: Nornicotine likely contributes to the neuropharmacological effects of nicotine and tobacco use.